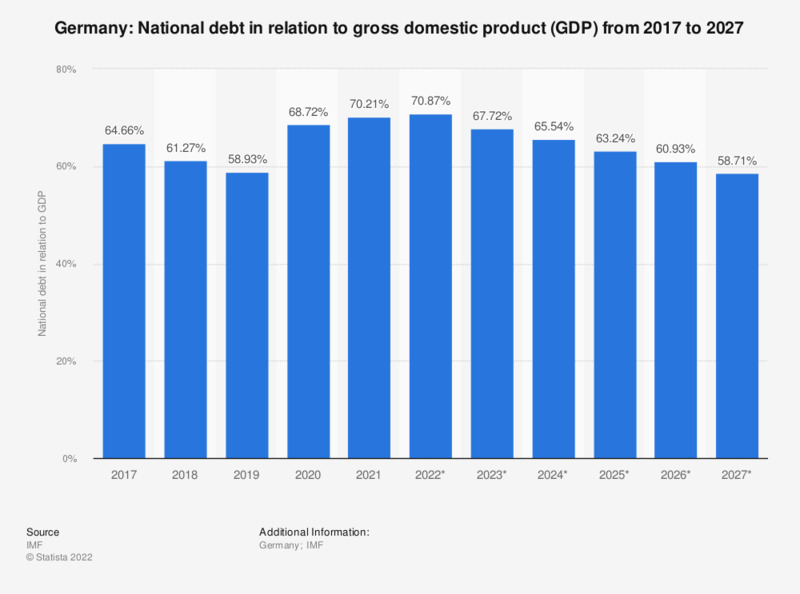 This statistic shows the national debt of Germany from 2012 to 2017 in relation to the gross domestic product (GDP), with projections up until 2022. The figures refer to the whole country and include the debts of the state, the communities, the municipalities and the social insurances. In 2017, the national debt of Germany amounted to approximately 63.85 percent of the GDP.